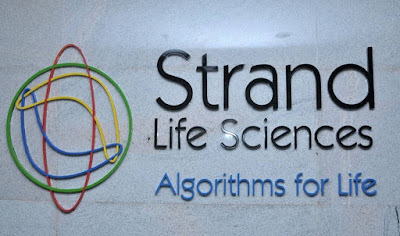 Strand Life Sciences, a global genomic profiling company aimed at empowering personalized cancer care and genetic testing for inherited diseases, announced that its Next-Generation Sequencing (NGS) laboratory, the Strand Center for Genomics & Personalized Medicine, located at Bangalore, has recently received certificates of accreditation from the College of American Pathologists (CAP), and the National Accreditation Board for Testing and Calibration Laboratories (NABL), respectively. With these accreditations, Strand’s pioneering NGS laboratory is the first and only facility in India to receive both prestigious recognitions, signifying NGS testing at the highest quality standards in the country and neighboring geographical regions. The CAP laboratory accreditation program is recognized by the U.S. federal government as equal-to or more-stringent-than the government’s own laboratory inspection programs. Similarly, the accreditation by NABL, the sole government-authorized laboratory accreditation body in India, is in accordance with ISO 15189:2012 standards. The accrediting processes by both organizations are designed to ensure that laboratories comply with the highest standards, and adhere to rigorous criteria for quality assurance. During the CAP accreditation process, inspectors examine the laboratory's quality system, quality control protocols and records for the preceding two years. Both programs pay very close attention to staff qualification, equipment, safety programs, and overall management of clinical laboratories. This recognition by CAP and NABL accredits three of the most popular tests offered by the Strand Center laboratory. 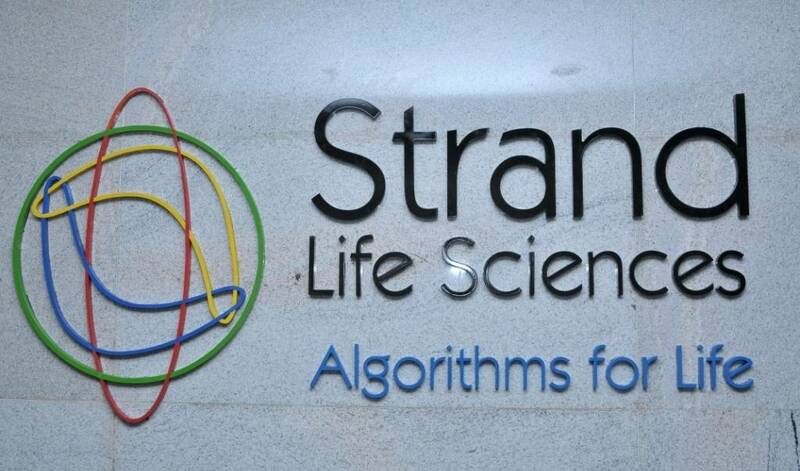 First, the StrandAdvantage 48-gene Test, used by medical oncologists to profile cancer patients for somatic mutations and personalize treatment by selecting targeted therapies. Second, the Strand Germline Cancer Test, an 86-gene hereditary cancer test to estimate inherited cancer risk, enabling early detection and prevention. Third, the Strand Rare Diseases Test, covering more than 500 genes and 400 rare inherited diseases, used for confirmation of diagnosis and carrier testing in couples. Dr. Vijay Chandru, PhD, Executive Chairman, Strand Life Sciences, stated, “We are extremely proud to receive CAP and NABL accreditations. Receiving these accreditations is a major accomplishment, because it reaffirms our commitment to providing the highest quality of diagnostic testing and services to hospitals, physicians, and most importantly patients across the country. It is Strand’s goal to bring genomics-based precision medicine to routine clinical practice; hence the accreditations serve as an important milestone in that direction”. Dr. Chandru added, “We believe Strand’s NGS laboratory is the first and only CAP and NABL accredited laboratory in India. As the regional leader in this advanced field of multi-gene testing in genomic medicine, it is important for us to set the highest laboratory standards." “It is imperative that physicians feel confident while sending patient samples for specialized and esoteric testing, such as NGS for cancer and rare inherited disorders. These diagnostic tests require advanced laboratories and expert personnel to analyze and interpret complex genetic information. Laboratories whose quality systems have been accredited by organizations such as CAP and NABL will give physicians much needed confidence to refer precious patient samples” said Dr. Nanda Rajaneesh, MBBS, MS, MRCS, FAMS, Consultant Surgical Oncologist, Apollo Spectra Hospitals, Bangalore. Samsung India Electronics showcased five new products at ACREX India, South Asia’s Largest Exhibition & Conference on Heating, Refrigeration, Ventilation and Building Services. 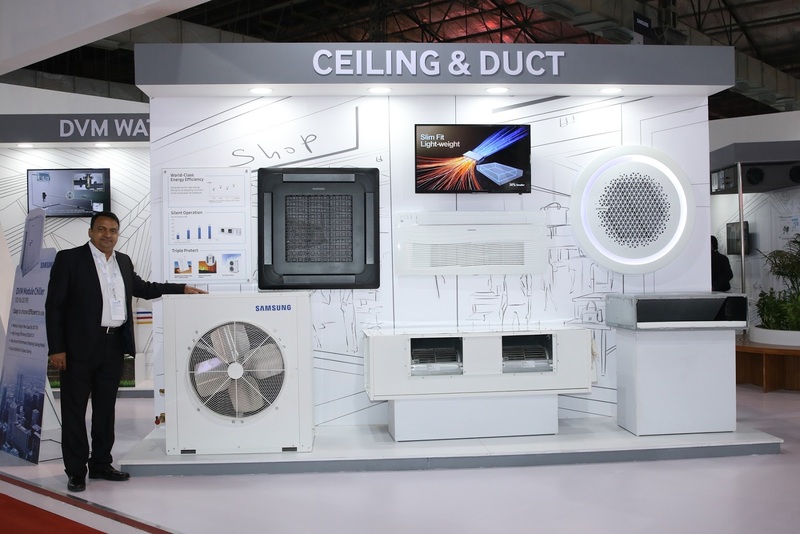 The products showcased are engineered to deliver exceptional cooling, increased efficiency and lower operating and maintenance costs. The 5 new products include the new 360 Cassette AC, 30 HP Super DVM, 14 HP Side Discharge DVM Eco, FJM (Free Joint Multi) and DVM Chiller. These innovations in HVAC engineering will transform air conditioning by boosting energy efficiency and performance, minimizing environmental footprint, and increasing cooling speed. Samsung’s new 360 Cassette comes with a unique and innovative design that transforms air flow and provides a uniform air cooling experience. The 360 Cassette provides powerful performance with elegant design which blends in and enhances every setting. The revolutionary booster fan inside the cassette guides air to form a complete horizontal flow, generating layers of chilled air. The circular air wave consistently controls the temperature of the room by providing an even distribution of air in a full 360 direction. The unit features a stylish and intuitive panel display that allows users easy control over air flow depending on the preference. The air conditioner can be fitted within a ceiling or can be left exposed, offering multiple options to suit the interior style of any room. In addition, users have the option of a wheel dial remote controller with a dedicated button for comfort cooling. The 360 Cassette AC also comes with an additional air filtration feature of Samsung Virus Doctor kit which can eliminate dust, airborne contaminants, allergens, bacteria and viruses. 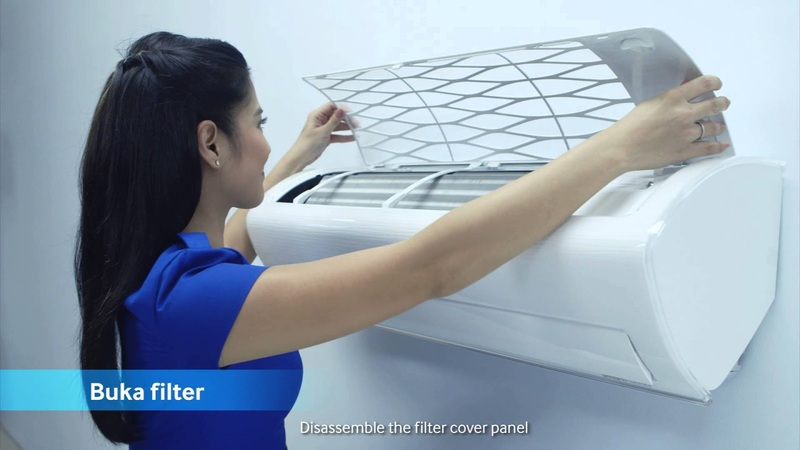 Samsung adds a boost to the performance and capabilities of the new Super Digital Variable Multi air conditioner which delivers enhanced performance, efficiency and reliability with cutting edge innovation. One of the revolutionary features that boost performance include the new Super Inverter Scroll Compressor with flash injection technology with an optimized bypass valve to increase capacity by 29 percent. Other revolutionary performance boosting features include a Hybrid Heat Exchanger which increases the heat exchange area, an optimized refrigerant control that delivers an increased efficiency rate of 10% and a new oval-shaped diffuser application which increases the airflow rate by 17%. 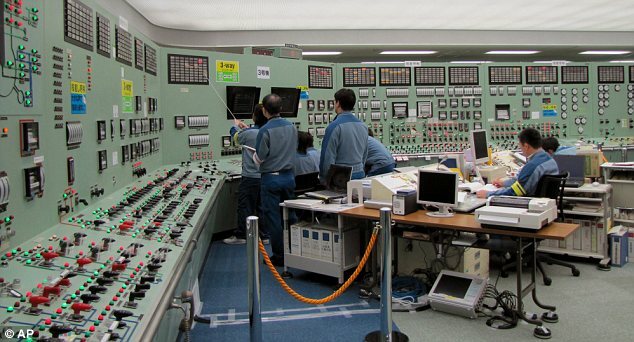 Samsung is dedicated to adhering to regulations that help preserve the environment. Aligned to this ideology, the Samsung 30 HP Super DVM S also complies with strict regulation thanks to an innovative leak detection system which automatically begins an active pump down process to collect the refrigerant and close all valves to isolate it within the unit. The DVM S Eco 14HP is a new side discharge VRF air conditioner engineered to deliver a single outdoor unit solution for apartment and office buildings. The new VRF unit aims at meeting the growing need for a specialized outdoor unit that reduces the cost of multiple units being used in multi-room buildings. Innovative features in the DVM S Eco 14HP include the Inverter Scroll Compressor and corrugate fin that improves performance by 20 percent and increases air flow by 10 percent compared to standard side discharge VRF units. The increase in power that the DVM S Eco 14HP comes with means that a single outdoor unit is needed to manage the air conditioning for an apartment or office building, in place of multiple high-cost units. The new unit also provides better coverage due to an extended piping length of up to 160 meters and an installation height of up to 50 meters. The new FJM is giving freedom of installing multiple indoor units with a single outdoor unit for a home or small commercial user. Samsung has engineered a twin rotary BLDC inverter compressor and FJM conveniently and effectively uses that to supply refrigerant to multiple indoor units. It thus offers greater energy efficiency and ease of use in an innovative compact design. The revolutionary FJM comes with a universal connection which makes it convenient to install even in remote areas. The world-class FJM has Sine Wave Controller that reduces noise significantly for in-the-home users. The FJM also reduces annual electricity costs up to 50% compared to conventional air conditioners. In a sweetheart deal, flamboyant businessman Vijay Mallya today quit as Chairman of United Spirits after its new majority owner Diageo agreed to pay Rs 515 crore and absolve him of all liabilities over alleged financial lapses at the company founded by his family. 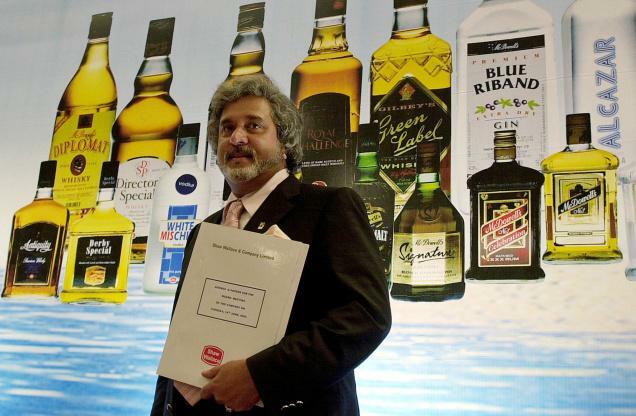 He has also resigned from his position as a director of Royal Challengers Sports and Four Seasons Wines. 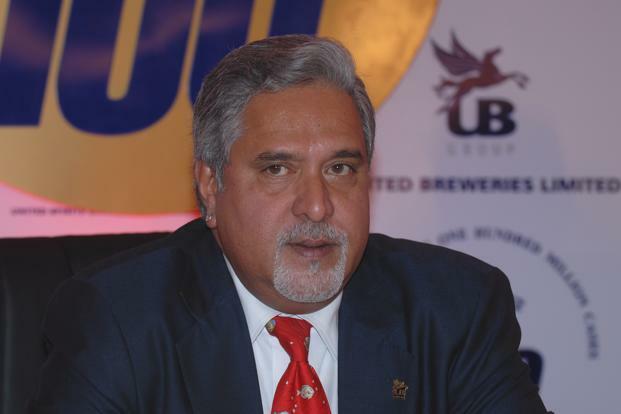 Diageo said it has "agreed to pay US$75 million to Mallya in consideration for his resignation and termination of his appointment and governance rights and his relinquishing of the rights and benefits attached to his position as Chairman and non-executive director", among other factors. Diageo said it will pay US$40 million of this amount immediately with the balance being payable in equal instalments over five years. NASSCOM welcomes the technology focused initiatives that were announced as a part of Suresh Prabhu’s Railway Budget 2016. We are glad to note that the government is walking the talk on IT integration and deployment of e-services, to achieve the dream of Digital India. 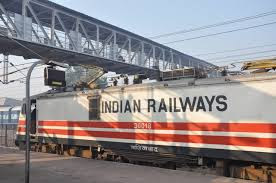 Aimed at showcasing a positive future for railways in India; the inclusion of GPS based digital displays in coaches, and the setting up Wi-Fi internet in 100 station this year, are initiatives that will not only streamline services in the railways, but also benefit customers across the board. The minister has also announced the utilization of drones for remote monitoring of on-going projects, which is an imperative to ensure timely completion of projects. With the railways, ready to take the next leap in setting high speed rail networks, these announcements are testimony to the centre’s commitment towards the upgradation of services; giving the transportation lifeline of India its due. Additionally, the setting aside of Rs.50 crore for providing innovation grants to employees, start-ups and businesses is an holistic and commendable approach towards scaling up the innovation and entrepreneurial landscape in the railway sector. PayPal, a global leader in online payments, today announced the graduation of the second batch of startups incubated at its Start Tank Incubation Center in Chennai, India. The two companies — Konotor and PiQube — started their incubation at Start Tank in November 2014. At their time of graduation, PiQube has raised $500,000 in funding from private investment company, HR Fund, while Konotor has recently announced its acquisition by software firm, Freshdesk. The occasion marks another milestone for Start Tank, which is located within PayPal’s Technology Center in Chennai. PayPal’s Start Tank incubates early-age startups with the aim of enabling them to help revolutionize and drive innovation in the industry. The startups receive mentorship and infrastructure support from PayPal, as well as access to an extensive network of leaders from the industry, including The Indus Entrepreneurs (TiE) Chennai, a not-for-profit organization committed to the cause of entrepreneurship. “This graduation is another major step in our commitment to the development of a strong technology ecosystem in India. As one of the world’s largest startups, it is rewarding to see the startups incubated at Start Tank benefit from our mentorship and expand their teams and businesses during their incubation period. PiQube and Konotor have done extremely well over the past year, and we wish the two companies the very best in their entrepreneurial endeavors.” said Guru Bhat, General Manager, Chennai Technology Center, PayPal. Konotor, founded by Srikrishnan Ganesan, Vignesh Girishankar and Deepak Balasubramanyam, is a product of Demach Software India Private Limited. 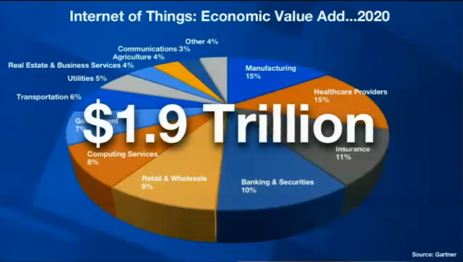 It enables messaging between businesses and their app users for customers support, promotions, re-engagement, and more. Konotor provides the businesses the right tools to manage customer conversations, as well as the ability to engage in a contextual and personal way with their app users. “This tenure at PayPal has helped us with our growth as a product and a business. We were able to benefit from availing access to great infrastructure to support our business, consult with PayPal architects for technology guidance, and bring more structure to our organization growth and business metrics. We are extremely delighted about the fact that Konotor has recently been acquired by Freshdesk Inc, a leading cloud-based customer support software company,” said Srikrishnan Ganesan, Co-founder, Konotor. 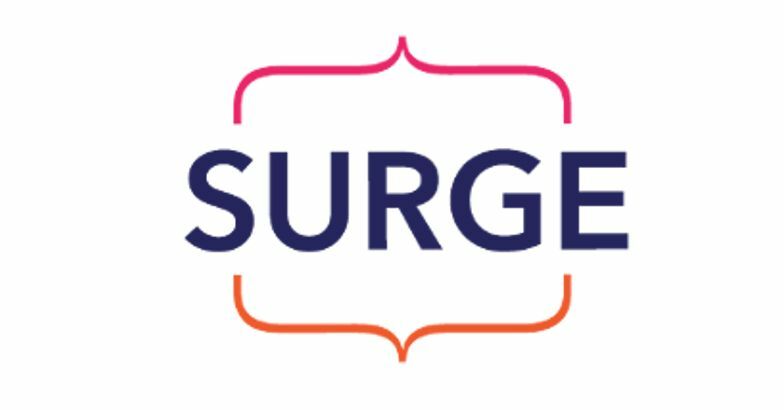 PiQube, founded by Jayadev Mahalingam, is a hiring intelligence platform that uses Data Science and Human Judgment in the right proportion to help companies hire smarter, swifter, simpler. The machine learning platform aggregates companies and recruitment agencies. PiQube raised $500,000 from The HR Fund during its incubation at Start Tank. “Since our incubation at Start Tank in 2014, PiQube has grown leaps and bounds. In terms of manpower, the company has expanded from a five member team to a 25 member team in a span of 15 months. On the business front, we have grown from zero customers to 75 customers with a 20-fold growth in revenue. PayPal has helped build our company in such a short span of time and we are extremely thankful to PayPal for the mentorship they have provided at their Start Tank facility,” said Jayadev, Chief Problem Creator at PiQube. IT hardware sector can generate four lakh jobs over five years if the government rectifies the tax duty structure in the Budget to encourage manufacturing of products such as notebook and desktop personal computers in India, says a study by industry body MAIT. "Measures of the Union Budget 2016-17 can potentially generate 4,00,000 jobs in the Indian IT manufacturing sector if estimated demand for 30 million PCs per annum is fulfilled entirely through domestic production over the next five years," MAIT Executive Director Anwar Shirpurwala said while sharing details of the study. The total estimated jobs include 1 lakh direct employment and 3 lakh jobs in component manufacturing over the next five years, the study noted. Policy reforms and plugging market ecosystem gaps can lead to doubling of IT hardware production in one year to US$ 2.6 billion and make India become a global electronic system design and manufacturing (ESDM) supply hub, it added. The study is based on data from some members of the Manufacturers' Association for Information Technology (MAIT), which includes chip-maker Intel, PC maker Lenovo and software giant Microsoft. The IT hardware industry through the Manufacturers' Association for Information Technology (MAIT) has suggested to the government that the differential excise duty regime introduced in 2015 for mobile phones and tablets be extended to notebook PCs and desktop PCs (personal computers) to encourage domestic manufacturing of IT products. The differential duty regime requires the excise duty on notebook PCs and desktop PCs to be brought down to 2 per cent without any facility for input tax input tax credits. MAIT has sought exemption from excise duty for parts, components and sub-assemblies that go into manufacturing of PCs. The excise duty structure for mobile handsets was changed to 1 per cent without Cenvat credit, or 12.5 per cent with Cenvat credit, which gave domestic manufacturers cost benefit of about 11 per cent over imported phones. 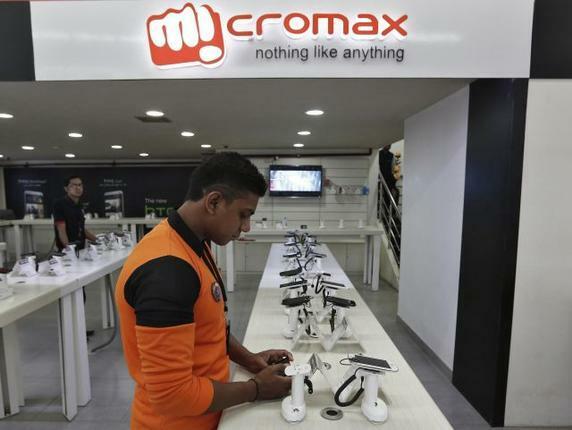 The current fiscal saw investments in India from the world's biggest contract manufacturer Foxconn while many others such as Gionee, Xiaomi, Lava, Karbonn, HTC, Datawind, started production of their handsets locally. The mobile phone production in the country shot up by over 90 per cent to 100 million smartphones a year. "Due to various disabilities impacting domestic manufacturers, a large part of this (India) market is being served by imported products, mostly from China," Shirpurwala noted. According to MAIT, the revenue share of domestic manufacturers stood at only 45 per cent of the total ESDM market of US$ 31.6 billion in 2015 and the figure was even lower at around 32 per cent for the IT product market of US$ 5.8 billion. The study made a case for steps to be taken by the government to provide competitive advantage for exports of IT products from India. It suggested that the government should take steps to attract component manufacturers, which would provide a base for global players to establish their presence and invest in India. 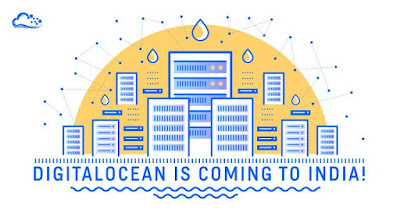 DigitalOcean, a US-based developers’ cloud computing platform provider, has announced its plans to open its 12th data centre in India. With plans to launch the centre sometime in the second quarter of this year, the company plans an investment of $5 million for this year, which includes the setting up of the data centre. The company already has 58,000 registered users from India, including Flipkart, InMobi, KartRocket and Housing.com, among others. 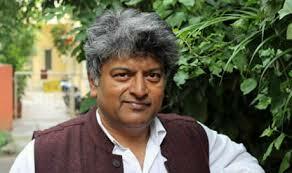 “Cloud in India is being led by the startup community, unlike in the West, which is led by enterprise users. Our offering is most cost-effective starting at $5 per month for 512 MB, and going up to $640 per month for 640 GB,” said Karl Alomar, COO, DigitalOcean. The company will initiate operations in India with 5-10 people at its data centre, and is in talks with Tata, Reliance and Airtel for network contracts. 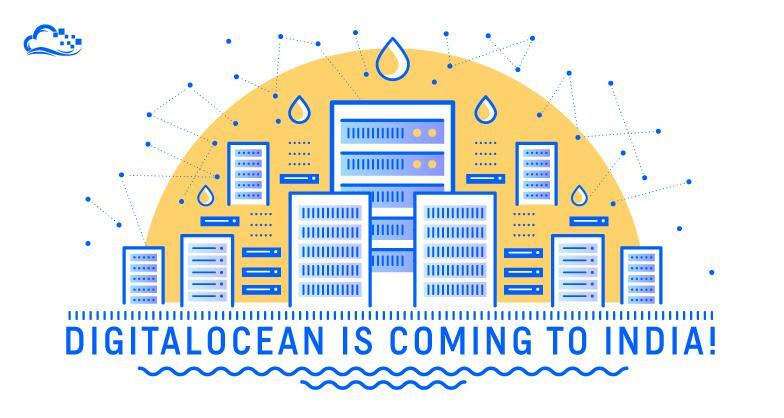 DigitalOcean to open 12th new data centre in India, It plans to invest $5 million over the year, including setting up of the centre The company will initiate India operations with 5-10 people at its data centre. 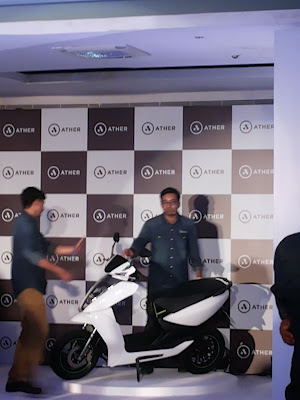 Ather Energy, a Bangalore-based hardware startup has launched India’s first electric smart scooter called S340. The S340 comes with a range of up to 60 kilometres in one single charge. The company claims its Lithium Ion battery pack is IP67 rated and offers an uncompromised ride for 50,000 kms. “The future will be connected and inevitably electric and the Ather S340 has been built as a manifestation of this philosophy. It is an unapologetically electric vehicle, it has been designed and built mostly in-house with engineering precision,” said Tarun Mehta, CEO & Co-Founder of Ather Energy. The S340 is not just electric but also adds few smart connected elements to it. It comes with a touch-enabled dashboard which integrates cloud-based to personalise the consumer’s driving experience. It also embeds user profile based sign in like smartphones and has on-board navigation. Ather Energy S340 also has driving modes like sport and economy very much like sports utility vehicles and premium sedans. 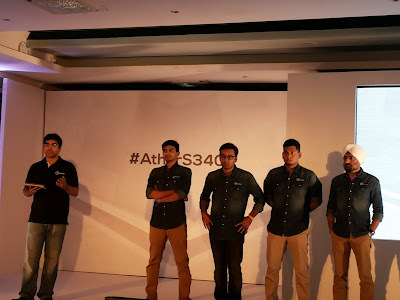 The company has also developed its own S340 Mobile App which connects the rider with the vehicle and allows for remote syncing and configuring ride and profile preferences. Ather Energy has a manufacturing unit set up in Whitefield, Bangalore and it believes the S340 will be a showcase for a Made in India product. Ather Energy also plans to sell the product online with doorstep delivery and service. The company has started pre-order for the smart scooter in Bangalore, Chennai and Pune. The company just doesn’t want to stop with the scooter, it wants to build an ambitious public charging infrastructure in every city that it operates in. In order to attract investment in Haryana state has decided to organize a first of a kind “Happening Haryana Global Investors’ Summit-2016” from March 7-8, 2016 at Gurgaon. Haryana government held a roadshow at the Taj West End, Bangalore on February 23, 2016. 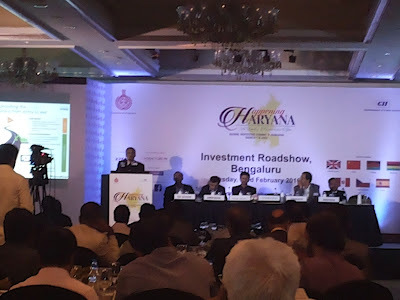 On Tuesday, the Haryana government led by Vivek Atray, Director Industries and Commerce, Government of Haryana; Sudhir Rajpal, Managing Director HSIIDC and industrialists Dinesh Batra, Director and Group CEO, Cygnus Hospitals and Sameer Munjal, MD, Satyam Auto Components also highlighted developments in farvour of Haryana to attract more investments from Karnataka at the Taj West End in Bangalore. As the Confederation of Indian Industry (CII) is the national partner for the event, T Sudhakar Pai, Past Chairman, CII Karnataka and MD Kurlon Enterprises along with Ravi Raghavan, CEO, Bharat Fritz Werner were present from the CII side. 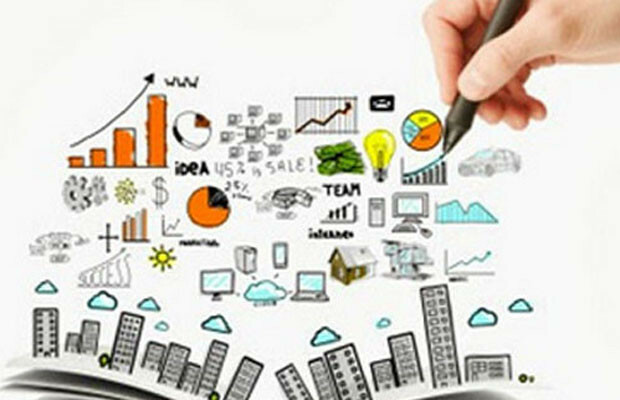 The two day event which is going to held on March 7 and 8 at Leela Hotel is expected to witness a large gathering of various international and national companies in the millennium city . Alongside the summit Pravasi Haryana Divas is also being organized to target investments of the entrepreneurs from the state, who have set shop abroad. As a preview the state is organizing five road shows across the country the first one was held in Delhi the second is in Kolkata which will be held on January 29 to create awareness among the people. The list of road shows includes Mumbai, Bangalore and Hyderabad. Alongside the summit Pravasi Haryana Divas is also being organized to attract investments from entrepreneurs from the state, who have set shop abroad. The Chief Minister Manohar Lal Khattar accompanied by Industries Minister, Captain Abhimanyu met the CEOs and heads of various companies in one on one meetings held during the first road show in Delhi. 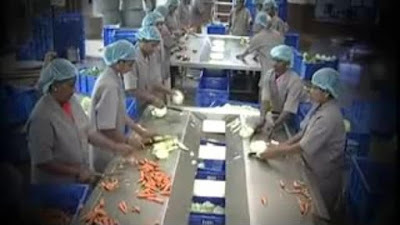 The Khattar government has offered Coca Cola India, for setting up ‘Kinnow’ juice plant at Food Park in Saha, Ambala. 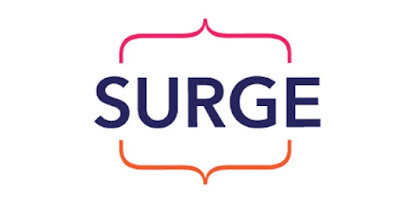 The organizers of the event have also informed that there was a discussion with chief minister of setting up a skill development project, in Gurgaon by Ascendas Singbridge Group. Micromax, has also offered to set up a manufacturing unit in National Capital Region which is expected to provide employment to 5,500 youth with initial investment ranging from Rs 100 crore to Rs 500 crore. The state is also set to get an ‘Electronic Manufacturing Special Zone’ in Rohtak over an area of 100 acres of land. In a gesture befitting a socially conscious corporate, LeEco, the internet and technology conglomerate joins hands with Akshaya Patra to support a mid-day meal for two children for every Le Superphone sold (Le 1s and Le Max) on LeEco Day on Feb 25, 2016. The initiative is part of a program that helps Akshaya Patra feed over a million children, who have the zeal to learn and the potential to contribute to India’s social and economic development. LeEco, which recently entered the Indian market has become consumers’ favourite brand in a short span of time. Having created a flurry of industry records with its Le Superphones, the corporate’s LeEco Day with its bounty of benefits and offers worth Rs. 8 crores, is touted as one of the largest and most attractive shopping carnivals organized by a smartphone brand. In a highly laudable gesture, the corporate has chosen to return in some measure the love and appreciation LeEco has received from Indian consumers by supporting the well known Akshaya Patra mid-day meal initiative. LeEco Day is marked by several unique initiatives. The senior management of the company plans to personally undertake the delivery of the Superphones to first few customers across the 4 cities of – Delhi, Mumbai, Bangalore and Hyderabad. This is being planned as part of LeEco’s consumer-connect policy which has been integral to the unprecedented success the company has had in such a short period in the Indian market.